This is my mini-tribute to my cat; a 101 on how to easily create a cat-eye look. A retro kitten flick focuses only on the upper lash line. A cat eye is a more dramatic and sultry version of that look, because the liner goes around the entire eye and the eye shape is more exaggerated. Step 1: First apply the black liner or kohl along the upper and lower lash line. 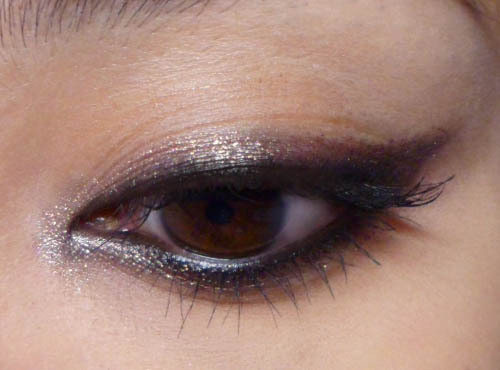 For the lower lash line, the shape is more intense and sultry if you cover the waterline, but that is optional. 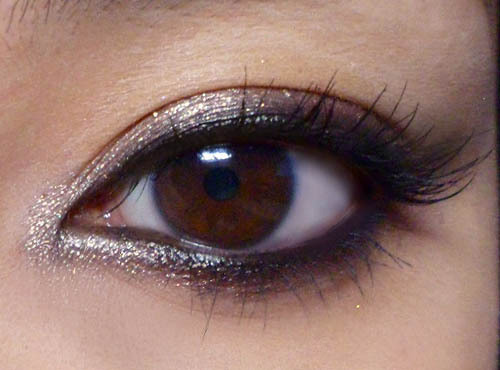 For the upper lash line, make the line quite thick at the outer corners and thin only at the inner corners. Step 2: To exaggerate and create the "cat shape", use a small brush or Q-tip to lightly smudge the black liner down at the inner corners and up at the outer corners. Inside corner: Pull the line down following the angle of the upper lash line. Outer corner: Pull the line up following the angle of the lower lash line. Step 3: To set the liner and soften the look, use a small pencil brush or smudge brush to run a soft beige-brown shimmer along the upper and lower lash lines. This helps to set the liner as well. Step 3 for hooded lids: If you have downward sloping lids, mono-lids or a heavy fold, use a fluffy blending brush to spread the shadow out very softly upwards at the outer corners, instead of in a tight line. You want to enhance the shape/shadow. Don't over-apply shadow. Step 4: Curl lashes and apply mascara to finish. 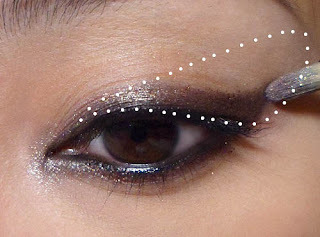 If you want to intensify the lash line a bit more, you can always reapply a little black liner around the waterline.